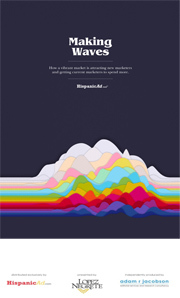 HispanicAd and the Adam R Jacobson Consultancy are proud to announce the fourth edition of Hispanic CMO, the most sought after publication in the U.S. Hispanic Market. Distributed Nov. 5, it is now available for viewing and download for FREE. 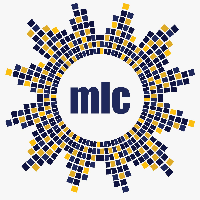 Curated by Gilbert Dávila, Chair of the 2018 ANA Multicultural Marketing & Diversity Conference and of Encino, Calif.-based Dávila Multicultural Insights, this report is independently produced by veteran journalist Adam Jacobson. To download this year’s edition CLICK HERE. Virtue is partnering with El Rey to launch LA REYNA, bringing a new creative voice to a challenged segment of the U.S. advertising and branding arena. LA REYNA’s creation is spurred by data over the last decade showing that births, rather than immigration, is driving U.S. Hispanic population growth. “This cultural shift has resulted in a surge of diverse tastes and interests, blurred lines of identity and a transcultural mindset among younger generations,” the companies note. LA REYNA will be headquartered in Austin, home to established U.S. Hispanic agency LatinWorks. In its first brand partnership, LA REYNA has teamed up with AB-InBev’s Mexican beer brand, Estrella Jalisco. Together, they will be hosting an immersive and creative experience in Austin on Friday (11/2). “Night of the Stars,” will celebrate the heritage of the brand and Mexico, while toasting to a progressive and innovative future. 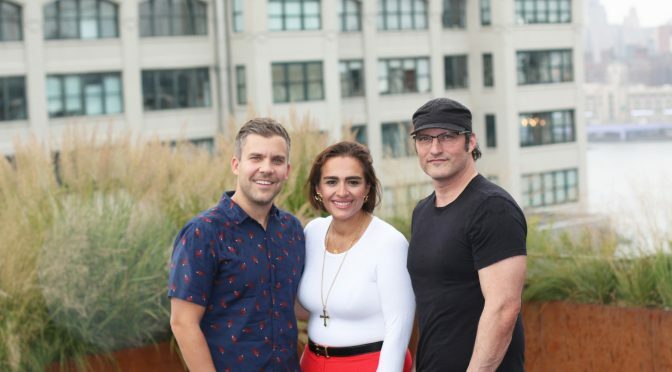 LA REYNA has also begun partnering with global collaborative workspace network, WeWork, on brand programming that will roll out in 2019. Virtue is a global, full-service creative agency with 26 offices across the globe. 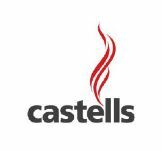 It develops brand platforms, programs and campaigns that are culturally-rooted and youth-focused for clients such as Asics, AB-InBev, Cazadores, Unilever, Google, lululemon, Marriott Loyalty Rewards, Netflix, and Vega. MIAMI — In a surprise announcement, NBCUniversal Telemundo Enterprises revealed that the search is on for its new President of Telemundo Networks. So, why is he leaving? A source close to the matter tells Hispanic Market Overview that aligning the leadership structure in a way that mirrors that of sibling NBC was the key desire for NBCUniversal. As such, it is believed that it is Silberwasser’s decision to depart and that it was an amicable one. Beau Ferrari will take a bigger role as EVP of NBCUniversal Telemundo Enterprises. Ferrari was appointed to the position in March 2017 and will now “closely partner with all content divisions and NBCUniversal teams across the portfolio.” Ferrari was previously EVP/Corporate Strategy and Development at Telemundo’s main rival, Univision Communications. The digital multicast TELEXITOS , launched and operated by the Telemundo Station Group, will continue to be led by Barbara Alfonso. Taking a page from Hispanic media companies including Univision Communications, New York-based Discovery Inc. is taking a big leap into the direct-to-consumer arena. Chances are Discovery’s U.S. Hispanic and Latin America-targeted cable channels are integral to the D-to-C initiative’s success. In a major move, Peter Faricy is taking the newly created role of CEO/ Global Direct-to-Consumer. He’ll be charged with overseeing Discovery’s global digital and direct-to-consumer businesses. 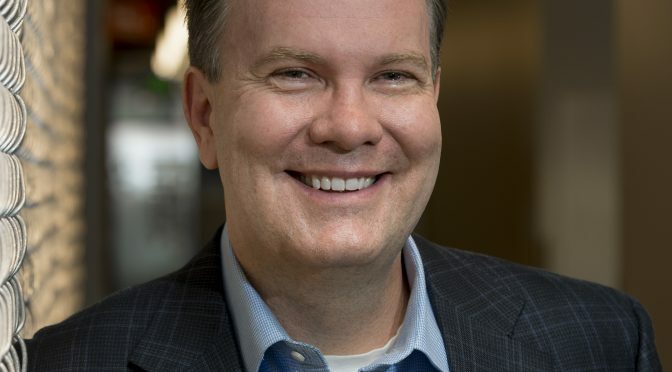 Faricy joins Discovery from Amazon, where he led the growth of the Amazon Marketplace, the company’s third-party seller business, and previously led Amazon’s successful music and movies categories. Faricy has also held leadership roles at Borders Group, Ford, and McKinsey. Faricy reports to Zaslav starting Sept. 17. With Faricy’s arrival, Discovery Networks International President/CEO JB Perrette will continue to lead the overall Eurosport business and will work together with Faricy on direct-to-consumer product rollouts across international markets. 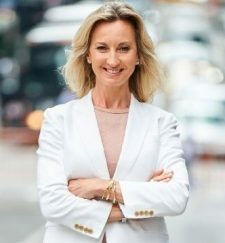 In an announcement distributed after 4:30pm Pacific on Monday (7/23), Univision’s New York business office confirmed the departure of Tonia O’Connor after 10 1/2 years of service with the Hispanic media company. Univision, in a statement, noted that O’Connor played “a key role” in the company’s expansion from three networks to 17 broadcast, cable and digital networks. Unfortunately, Univision has largely failed to keep up with the rapidly changing viewer habits and interests of today’s Hispanic market, losing audience share to NBCUniversal Hispanic Enterprises’ Telemundo and big properties — namely the FIFA World Cup. These declines have put extreme pressure on Univision to produce, and the exits O’Connor — like Lee — may be viewed by some as collateral for its steady decline and lack of scalability with English-preferred Latino consumers. In a telling sign, it was Univision’s Board of Directors that collectively offered a comment about O’Connor’s decision to leave Univision. O’Connor joined Univision in January 2008 as Chief Commercial Officer and President of Content Distribution. She was promoted in July 2017. Before taking the role at Univision, O’Connor spent 13 years at Gemstar-TV Guide, serving as EVP/Distribution. Her first career role was as an outside mobile sales representative for Bell South, from 1991-1993, following her graduation from Syracuse University. In December 2010, Univision Communications made the bold move by turning to an individual with a background in Hispanic and Latin American trade publications to take over leadership of its news operations. 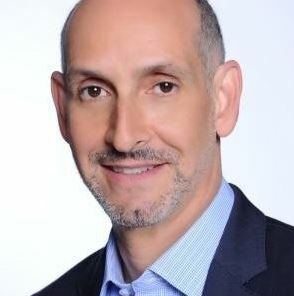 The appointment of Isaac Lee as President of News for the Univision Network eventually led Lee to ascend to the role of Chief Content Officer of Univision Communications. With declining ratings and Univision’s poor financial state grabbing headlines of late, Lee emerged as a central figure among those seeking to put a finger on why Univision now lags Telemundo at both 9pm and 10pm weeknights. Lee on Tuesday (7/17) became the latest victim of Univision’s woes, tendering his resignation. 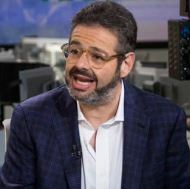 In a press release, Univision said the move was done following his “successful completion” of a mandate to align the content operations of both Univision and its longtime Mexican partner, Televisa. Under Lee, the first-ever global pilot season in Spanish-language television for Mexico and the U.S. was initiated. But, Lee was a central figure overseeing not only Univision News and Univision Digital, but also all content including The Root, The Onion and Gizmodo Media before ascending to the joint role as UCI and Televisa in January 2017. That connection to Gizmodo and The Onion may have come back to haunt Lee. As Radio + Television Business Report reported July 10, Gizmodo and The Onion are on the block. There was no mention of Fusion, the English-language entity that was originally launched in partnership with The Walt Disney Company. The GMG digital portfolio includes Gizmodo, Jezebel, Deadspin, Lifehacker, Splinter, The Root, Kotaku, Earther and Jalopnik; The Onion portfolio includes Clickhole, The A.V. Club and The Takeout. Daniel Coronell, who succeeded Lee as President of News, continues in that role. 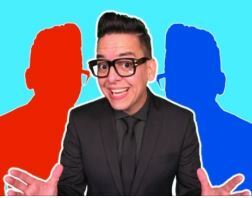 Lee’s accomplishments at Univision also include the creation of the Los Angeles-based content development and production hub Story House Entertainment, which developed three seasons of the series “El Chapo,” co-produced with Netflix; and the documentary “Science Fair,” which won Sundance’s Audience Award in 2018. A new drama, “Tijuana,” set in the Mexican border town, is in production. Two additional docu-series, “Murder Mountain” and “Who Killed Malcolm X,” also co-produced with Netflix, are in production. What is Lee’s next destination? Univision notes that he will start his own production company. “I want to thank my extraordinarily talented and hard-working colleagues at Univision, as well as Haim and the entire Board, for all the support I have received in my nearly eight years at UCI,” Lee said. Lee emerged as a possible leader at Univision in the mid-2000s, as Chairman and Editor-in-Chief of PODER Magazine. His resume includes roles at Zoom Media Group and as the editor of Semana magazine in Colombia in the late 1990s. His biography can be found here. Speculation is rampant that Univision Communications is finalizing a formal announcement that a former LIN Media CEO who then stewarded Media General’s merger with Nexstar has been given the CEO role at the fiscally challenged Hispanic media company. 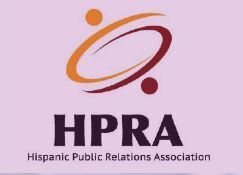 This individual also spent a decade as CFO of Telemundo and is presently on WAPA parent’s board of directors.